Branding is often misunderstood. Small business owners who look up to big corporations to show them how branding is done are left believing in a myriad of misconceptions, and some downright lies. Service-based businesses are not supposed to play by the same rules that big corporations do. It’s impossible, and goes against the very core of what makes service businesses unique: a custom, relationship-focused experience. 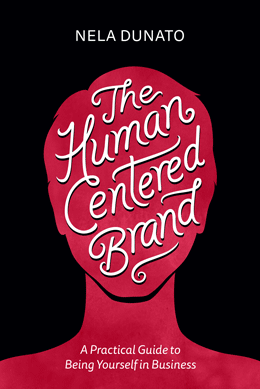 Here are the 6 myths that may be holding you back from designing a human centered brand that creates a lasting impact. 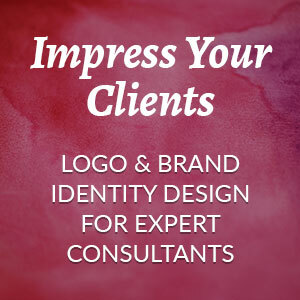 A brand encompasses every single strategic and aesthetic aspect of your client relationships. From who you want to serve, to how you serve them and why, down to the choice of language, communication channels and pricing. Everything you do in business reflects on your brand: how you respond (or don’t respond) to customer support requests, the company you keep (partners, joint ventures, affiliates), how you dress, how much private information you disclose on social media... Every single thing you and your employees do or say can make a positive or a negative impression on your audience. People often equate “branding” with “visual brand identity”, but it’s not the same thing. Branding is a much wider term. This particular myth can create a hurdle for business owners who don’t have design skills, and aren’t ready to pay a professional. If visuals are not your strong suit, use your strengths to your advantage. If you’re a great writer, make your brand all about writing. You don’t have to put an image in every single Facebook post. You don’t have to use Instagram. Work with what you have, and you’ll fill in the gaps later when you can afford it. To find out more about the other elements of branding and how to define them, read my post Struggling with your brand strategy? Start here. While visuals are important, you need to support them with clear strategy and empathetic behavior toward your clients. 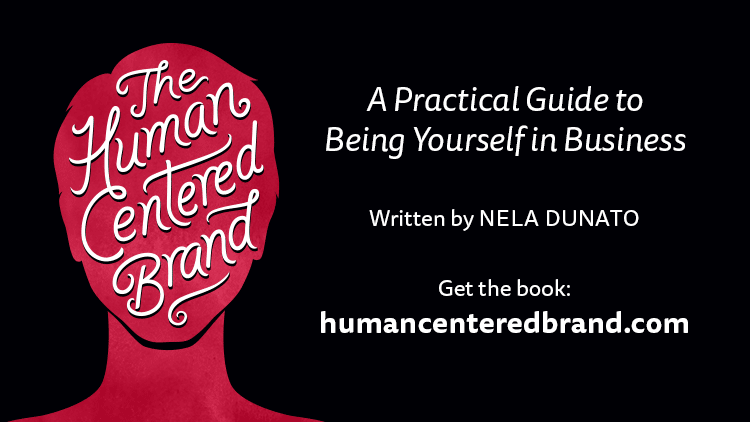 When we hear the words “personal brand”, we imagine someone who only shares polished, flattering photos on Instagram, and posts automated “inspiring” social media statuses, projecting the idealized version of themselves while hiding their real human personality. I’m as sick and tired of seeing this as you are, and have in fact unfollowed people who never bother to post on social media as humans, because to Hell with the never-ending stream of “inspiration”. You can share the fact you have a geeky hobby, and still maintain your health-focused brand. You can admit publicly you struggle with depression, and still have a bunch of people take your business advice seriously. Being more open means that people who strongly disagree with you won’t like you, and in my opinion, that’s wonderful. Having a polarizing brand that’s just a bit too much for some people is way better than having a brand nobody cares about. While first impressions matter—as you may not get another chance to interact with this person, ever—it’s not the only thing you should focus on. Pouring all your effort and money into attracting new people to your business will be a waste, unless you keep a high standard of quality and integrity throughout their entire customer journey. Where am I dropping the ball? Are there cracks in my system that potential clients fall through? 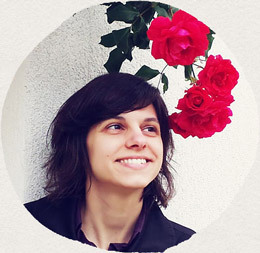 How can I make my client experience even better, so that people actively refer me? Your brand touch-points go way beyond the first impression. Each interaction with your clients adds to the story they form about your brand. Examine each touch-point to make sure that the story continues on the high note you've established from the start. If you'd like to give this a try, I've explained the exact process that I teach in my workshops in the article: Improve your business & brand with a client journey map. The longer people stay in your orbit, the better you should be treating them. They will become your most faithful brand ambassadors. Contrary to popular belief, branding is not about pandering to your clients’ taste—it’s about setting their expectations about you and making promises you can keep. People will resonate with your brand because they get the impression that the person behind it is the real deal, not because it features their favorite color. Taking your ideal clients into account when designing your brand is important, but this goes way beyond the surface decisions of “colors they like”. You need visuals and brand voice that are in sync with your brand essence. I know many people would love to just hand over all their worries to a professional and never think about it again, but branding is a very personal process that you can’t phone in. A brand strategist needs to understand your business, your values, your goals, your clients, as well as your natural affinities and strengths, because you’ll have to continue implementing this brand in all your client and partner interactions. For this reason, branding is usually a very intense, hands-on process that requires you to be present and responsive. That’s the only way we can develop a brand that fits you, instead of the other way around. Even though you might invite someone else to help you out, this is still your brand. The strategy they come up with needs to feel right to you, like they’ve given you the perfect words you were struggling to find. If you don’t feel like this person has seen and understood correctly what your business is about, then this is not the right strategy for you, and implementing it won’t inspire you. It might feel as if you’re wearing shoes that are too tight, or a pair of pants that are sliding off your hips all the time. That’s no good—your brand strategy should fit you perfectly, like it’s tailor made just for you—because it is. Whether you decide to DIY your brand strategy, or hire a strategist, the final responsibility on what you want to communicate to your audience lies with you. It takes time for people to notice you and develop trust in you. 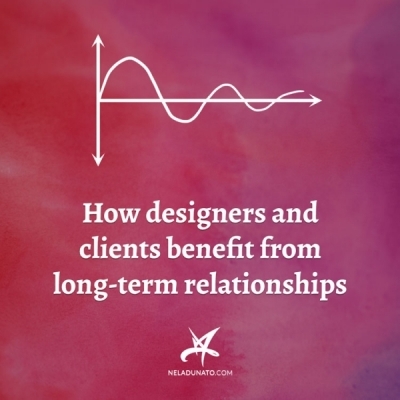 Consistency over this period of time helps you with setting expectations for that moment when the client is finally ready to start working with you. You keep attracting the “wrong” type of clients. Your offers have evolved significantly since you’ve developed this brand. 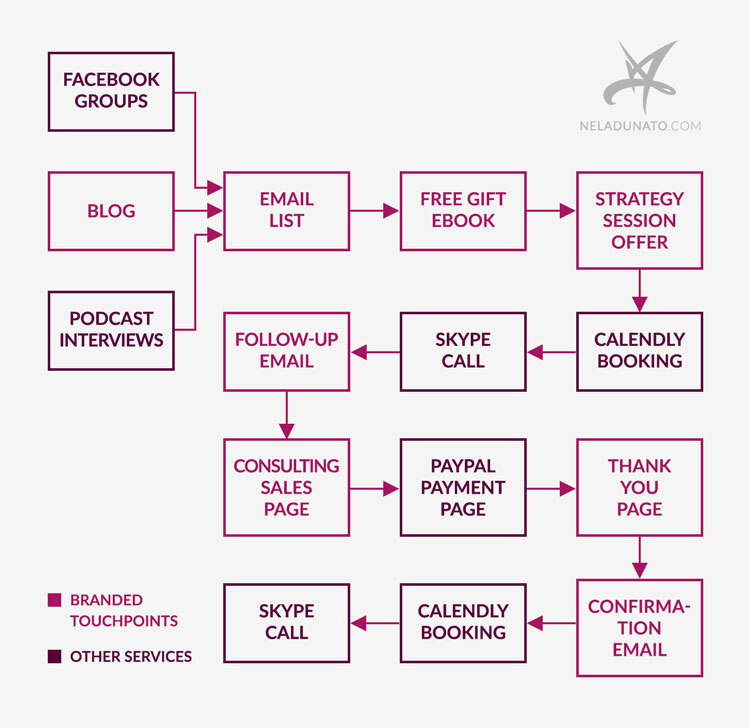 You’ve switched your audience focus, and your current brand doesn’t speak to your new clients. You’ve raised your prices significantly, and now your brand feels “cheap”. You’re embarrassed by your website or marketing materials. You’ve had a big emotional/spiritual transformation and now everything about your business feels “off”. If you notice any of these signs, it may be time for a rebrand. It’s normal for a brand to evolve with time. Companies decide to rebrand for many reasons, usually because they want to attract a new audience, or shake off their old image they’re no longer happy with. A rebrand can involve just light touch-ups to an existing logo, and extending the branding guidelines to cover more usage scenarios. 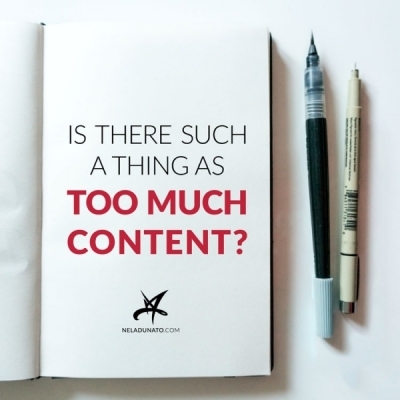 It can also be substantial, requiring a completely new brand strategy and visuals. The complexity of your rebranding project depends on how well your current brand works with your business goals. 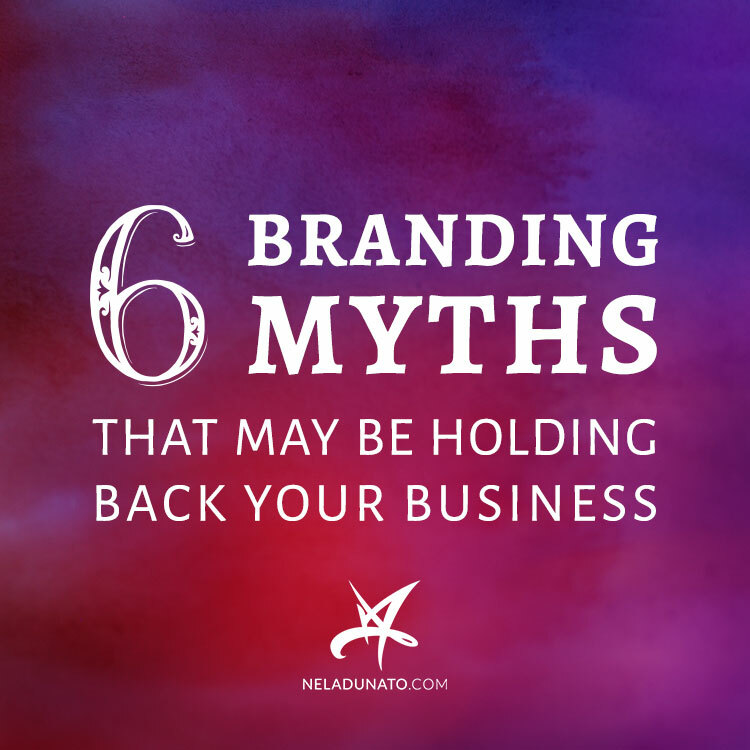 Are these branding myths holding your business back? I love this. Especially your diagram of the circles of branding within circles. Nice. I think the work I do (and, I think, what you're about too) gives our clients the critical foundation by helping them develop their brand story and shows them how to develop a visual brand that is aligned and in integrity with every single piece of that brand story. Big love (from the HoB group). It's our job to educate clients on why this is important and guide them through this journey of self-discovery. So glad to have crossed paths with you again in the HoB group!